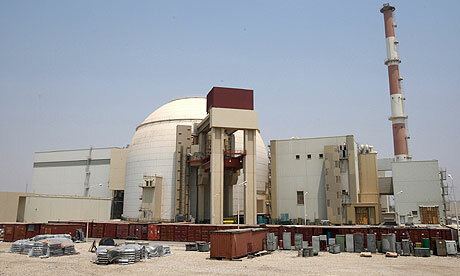 Iran began loading fuel into the core of its first nuclear power plant today, moving closer to starting up the facility. The Iranian authorities see the completion of the Bushehr plant, built with the help of Russia, as a show of defiance against UN security council sanctions against its nuclear programme. Iranian opposition leader, Mehdi Karroubi announced that the “Supervision over Members of Parliament” bill will mean “the end” of parliament in the Islamic Republic system. 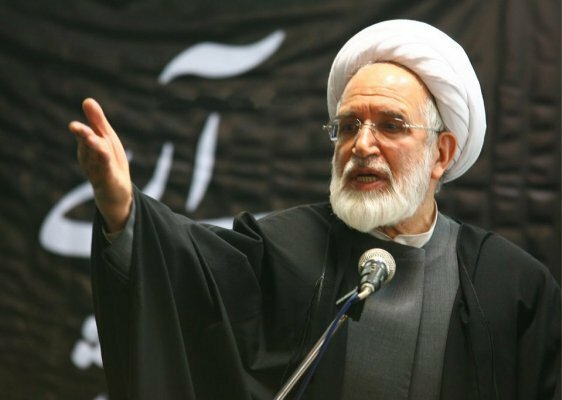 Saham News reports that in a letter to Iranian Members of Parliament, Mehdi Karroubi pulled the alarm bell over this proposed bill and stated that the parliament, as the ” only democratic body” in Iran, will become “an ineffective and servile” institution with the approval of this bill. The US is quietly ratcheting up economic and financial pressure on Iran amid signs that talks about Tehran’s suspect nuclear programme could resume next month. These two developments may be connected. But neither sanctions nor diplomacy can wholly obviate the dread possibility of military confrontation unless something fundamental changes soon at the heart of Iran’s fundamentalist regime. The US squeeze has been gathering force since July, when Congress passed the Comprehensive Iran Sanctions Accountability and Divestment Act, which in effect denies foreign banks access to the US financial system if they trade with targeted Iranian banks and businesses or the country’s Revolutionary Guards. Iran’s famed rug industry faces a serious threat from the latest sanctions imposed by the United States, the biggest market for Persian carpets. 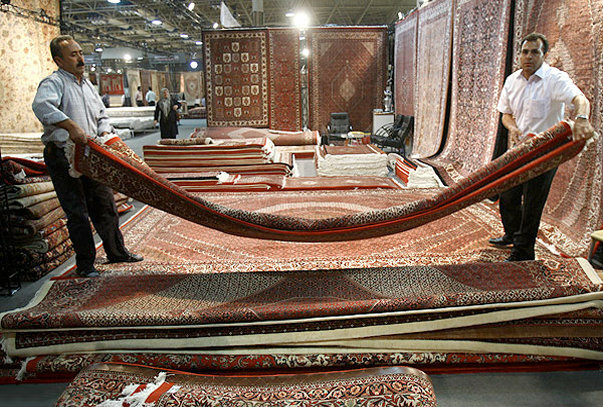 The embargo came into force on September 29, coinciding with the final day of a week-long international carpet exhibition in Tehran at which insiders mulled the future of the trade. Iran’s Minister of Intelligence, Heydar Moslehi announced that all interference in the restructuring of government subsidies will be firmly confronted. ILNA reports that Moslehi said that they have made every arrangement for the restructuring of the subsidies and any attempt at disrupting the process will be referred to the judiciary. TEHRAN — The future of Iran’s largest academic institution is in question after the supreme leader stepped into a tug of war this week between President Mahmoud Ahmadinejad and his rival Ali Akbar Hashemi Rafsanjani, who was instrumental in vastly expanding and improving the university. 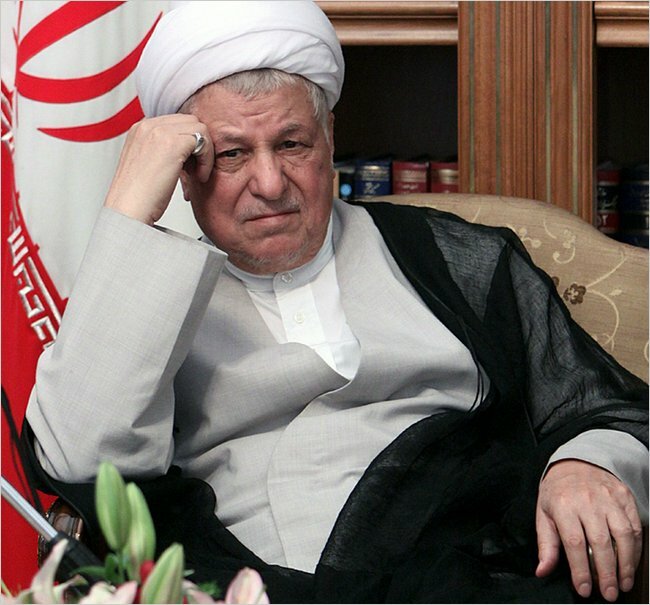 The supreme leader, Ayatollah Ali Khamenei, issued a ruling this week that Mr. Rafsanjani could not place the vast financial assets of the Islamic Azad University — which some estimates put at $250 billion — into a public religious trust. 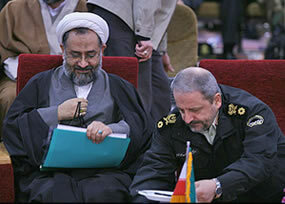 Doing so would have effectively prevented Mr. Ahmadinejad from seizing control of the institution. The US sanctions target Iran’s energy sector, including products such as petrol and jet fuel. 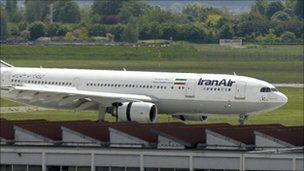 Mr Mehmanparast, speaking at a news conference, was asked to comment on reports that flights by the state carrier Iran Air were being refused fuel at London Heathrow airport. “Unfortunately, some Western companies have adopted inappropriate measures,” Mr Mehmanparast said. 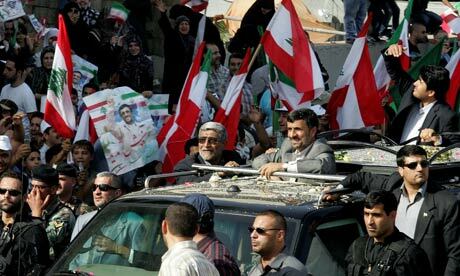 The complicity of western media with their governments could not have been more clear this past week, when the Iranian president, Mahmoud Ahmadinejad, came to Lebanon. In the sprawling slums of Baghdad’s Shia heartland, signs of triumph are everywhere. Loyalists of Muqtada al-Sadr are posting giant images of the cleric in hospitals, schools and on neighbourhood squares. Cakes and nuts, usually reserved for festivals, are being served to guests of key officials. Sadr’s followers say theirs is a movement whose time has come. 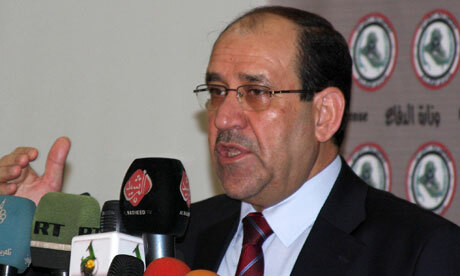 It has been like this for 16 days, since the exiled cleric confirmed his support for a second term for the incumbent prime minister, Nouri al-Maliki. That move looks set to revolutionise political life in Iraq and, potentially, recast the brittle nation’s dealings with the west.